Now that Simar has turned back into a human being from a fly in Sasural Simar Ka and Thapki Pyar Ki has featured a human-gorilla love story, the producers of Sarabhai Vs Sarabhai decided to take the reigns of Indian comedy back in their hands. The show may be returning for a second season, possibly as a web series. Majethia told Mumbai Mirror that the actors discussed bringing the show back and they were in a general consensus that they would prefer a shorter web series as compared to a 'never-ending' TV series. The producer has plans to finalize the script and take it from there after he is back from his vacation. With news of the show being telecast as a web series doing the rounds, we will definitely make sure our internet connections are fast so that the show doesn't have to buffer. The show follows the shenanigans of the Sarabhai family, an upper middle class family living in South Bombay. 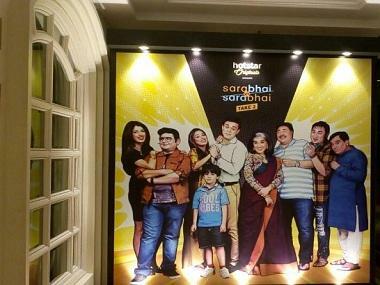 The family consists of Indravadan Sarabhai (Satish Shah) and his wife Maya (Ratna Pathak), who live in an apartment with their younger son Rosesh (Rajesh Kumar). Their older son Sahil (Sumeet Raghavan) and his wife Monisha Sarabhai(Rupali Ganguly) live in the apartment across the hallway. 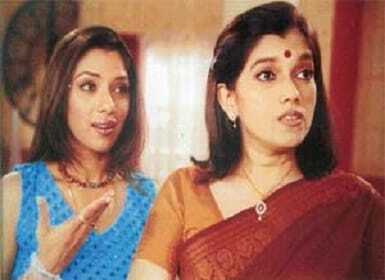 Who can forget Maya Sarabhai's constant disapproval at all things middle class, and Monisha trying her best to be what Maya would term 'the epitome of middle class'? The peak into the life of the dysfunctional family was a hilarious break from the saas-bahu dramas that still dot the television scene in India. The humor of the show was in the little idiosyncrasies of the characters; Indravadan's sneakiness, Maya's snootiness and Monisha's attitude towards money — were laughable elements in itself, the same way Seinfeld used it's observational brand of comedy to bring out its main character's quirks. JD Majethia's tweet was a surprise for the fans after the 2012 statement by the show's director Deven Bhojani which said the show will never come back on air. Pasand kare isse harr koi – Sangeeta, Rita, Nita, Anita. Toh jelly ko banana chahiye iss desh ka pradhan mantri!